A Hitchcock slapstick comedy... fascinating. Hitchcock's only comedy... I can kind of see why. Having said that, the movie wasn't un-funny, it just didn't live up to my slapstick expectations. It kept falling short. 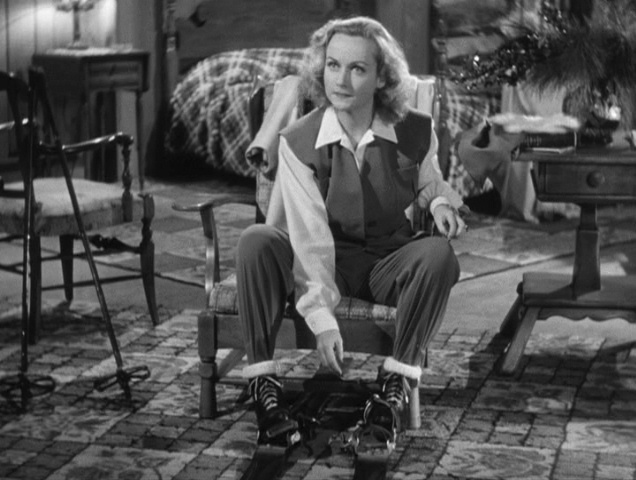 Carole Lombard is fantastic with slapstick (Nothing Sacred), but there wasn't enough for her to do here. When we meet Mr. and Mrs. Smith (Carole Lombard and Robert Montgomery) they are holed up in their bedroom. One of the rules of their marriage is, "You are not allowed to leave the bedroom after a quarrel unless you've made up," and they had a fight two days ago. While the help watches for them to emerge and Mr. Smith's law firm panics over his absence, Mr. and Mrs. Smith finally reconcile, agreeing that their rules for marriage have once again helped them to trust and love each other. Before Mr. Smith leaves for work, though, Mrs. Smith reminds them of their "no lying" rule, and asks Mr. Smith to honestly tell her whether he would marry her all over again. Mr. Smith very naively answers that although he loves her, if he had it to do all over again, he would hold onto the single life. Oops. Upon arriving at work, Mr. Smith is then visited by a lawyer come to tell him that, guess what, his marriage license isn't valid. It turns out all people who got married in 1937 in Nevada with an Idaho license are not really married and that "it'd be better if everybody kind of got married again...to be on the safe side." Oops again. Mr. Smith is kind of excited about the idea of dating his wife again and doesn't seem to plan to tell her right away. The lawyer happens to be a family friend of his wife, though, and stops by to see her next. Mrs. Smith's mother is horrified, demanding that her daughter not spend another night with her husband until things are righted. Mrs. Smith is convinced that, despite the morning conversation, of course her "husband" will whisk her off to City Hall that very night after dinner. Otherwise: scandal. But, the dinner doesn't live up to expectations, and there is no proposal. Instead, Mr. Smith tries to lure his "wife" into the bedroom. Horror! Mrs. Smith tells him what she knows and accuses him of having tried to use her "and then throw me away like a squeezed lemon." Mr. Smith is banished to a room at the men's club, and Mrs. Smith decides that maybe she would like to date other men. 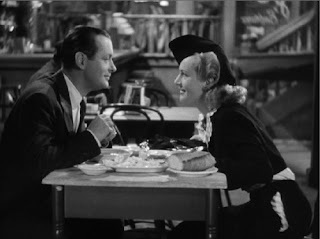 Mr. Smith spends the rest of the movie trying to win his wife back. At one point he even tells her, "From now on we're just friends." Her response:"Not necessary." So all in all, only two stars, but I would probably watch this again, and I think all Hitchcock fans should be aware of his venture into slapstick.